I try to live a healthy lifestyle – choosing and preparing my food carefully and avoiding unhealthy foods. However, even the most careful person can accidentally put bad things into their body. Not too long ago I had an experience that really drove this truth home – and it all started with innocent looking, supposedly healthy oatmeal cookies. 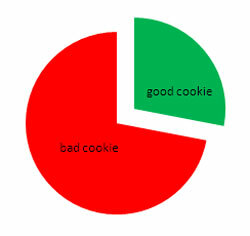 After I chewed a cookie, I checked the calories. I always do because I intend to stay healthy and lean forever. I almost dropped the box…..
What’s wrong with this picture? 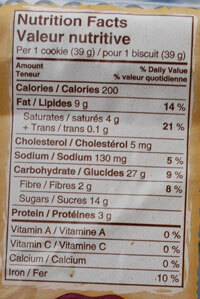 The proportion of the ingredients! Fiber doesn’t supply calories, but plays an important role of internal cleanser and vehicle for the food to get from your mouth to its final destination. We need fiber to help digest food. Let’s change this trend. We don't have to be a part of this statistics! 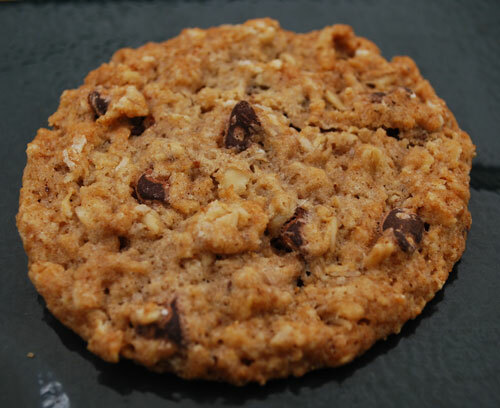 If you want to make healthy oatmeal cookies using healthy nutritional ingredients as substitutes for unhealthy ones, try my easy Healthy oatmeal cookies recipe.